If you’re heading out to the 40th Winnipeg Folk Festival this weekend you’re not alone – there should be about 10,000 people right behind you heading to Birds Hill Provincial Park (although quite a few of them will be up there already getting their feet dirty in the campground). Each year when Folk Fest rolls around we try to make sure we’ve got good artist representation in our libraries so that it’s possible for everyone to bring the festival home with them. And I have to say, this year’s list of holdings is pretty impressive! If you want the WHOLE LIST, we’ve got that for you – we’ve made a special catalogue collection called Winnipeg Folk Festival Performers – 2013 to make it easy to browse the artists in one-shot. It’s that time of year again. Summertime, when nature calls. The lure of the great outdoors is almost irresistible, and it tends to bring out the inner adventurer in a lot of us. For some people, that means heading to the cabin or to parts unknown. Some prefer a trailer, others a tent. Then there are those hardy few who march into the wilderness with only a knife and some matches. Me, I reach for my handy list of books. Here are a few of my choices when staying home is more than half the fun. Going to the lake is as much a part of summer as sunscreen for some lucky people. Cabins and cottages provide the comforts of home with all the advantages of being away. Life at the cottage moves at a different pace, providing us with memories that keep us going through the long winters. When it comes to writing about life at the lake, nobody does it better than Charles Gordon. For those who get restless staying in the same place for more than a day or so, there’s always that perennial favourite – the road trip. Whether you’re hauling a trailer or setting up a tent, Canada is filled with places to discover and explore. Beauty Tips from Moose Jaw is the book to read when you want to find out more about our home and native land. Will Ferguson provides all of fun of being on the road, without all of the hassles. See Canada from coast to coast, top to bottom, tiny towns to colossal cities, Will’s been there and done that, and he’ll make your sides ache with laughter as he tells his tales. Staying closer to home doesn’t mean that you’ll be giving up the chance to explore some of the best nature has to offer. Manitoba Wild: Scenic Secrets of Manitoba and Manitoba Picnic Perfect will you take you to stunning spots that are so close to home you won’t believe that you’ve never been there before. While I am most definitely not an outdoorsperson, as you’ve probably already guessed from the quotation at the top of this blog, I really admire/wonder at people who have the drive and the skills to survive in the wild. I like to think that by having read these books that I, too, am prepared for anything Mother Nature can throw at me. For those rainy day when you can’t get outside, or if you’re stuck in the city, books can provide the perfect getaway. Reading one of Jake MacDonald’s books is the next best thing to being there. Or in some cases, even better than actually being there, since his books don’t have any mosquitoes and it’s far less likely that you’ll come face to face with a very large wild animal. You can’t go wrong with anything he’s written, but for what it’s worth my favourites are Houseboat Chronicles: Notes from a Life in Shield Country and Grizzlyville: Adventures in Bear Country. Ah, yes, summertime and the great outdoors. There’s nothing like it. Where will you go when nature calls? I know where I’ll be heading – to the hammock in my backyard, book in hand. Gearing up for summer – Youth Programming Teaser!! Not that we’d know it from the weather we’re having, but summer is almost upon us! Switching out wardrobes and jackets, heading out for more walks, dusting off the bicycles and – yes – making plans for how to keep kids and teens busy during 2 months of lazy, hazy days. Here at Winnipeg Public Library we’re thinking about that last one a lot (so hopefully you can think about it a bit less!). 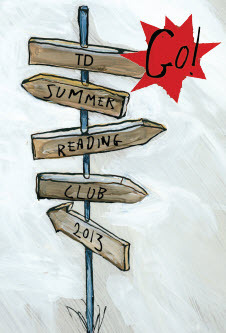 Our July/August @ the Library newsletter will hit our website later this month (hardcopies just after that) and I can tell you that the Teen, Tween (ages 9-12), and Children’s sections are jam-packed with programming options. 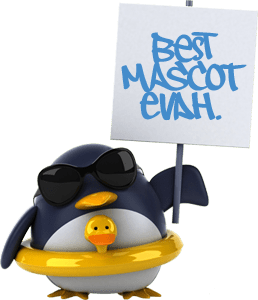 For teens (ages 13-17) we have something designed by us especially for them: Teen SRC – a completely on-line summer reading club experience comes complete with chances for teens to win a ton of great prizes by showing off their creative talents. Last year over 200 teens across the city registered and checked in with us throughout the summer and we’re looking to reach even more this year. Early bird registration for Teen SRC is open right now. Teens that register by June 28 will be entered in a prize draw. Stay tuned to this space later this month for the complete low-down on summer programming and great tips for preventing summer learning loss. “See” you then! As an avid reader, it’s not unusual for me to maintain piles of books around the house, all waiting to be read. Thanks to eBooks, my iPad is always stocked, too. Summer is my time to get through all these books, and nothing brings me more pleasure than to sit on the deck with a few books and spend an entire afternoon reading (with snacks, beverages and sunscreen, of course). So far this summer, I’ve been extremely lucky. It goes without saying that I enjoy almost every book I read. I’m a librarian, it’s what we do. But so far this month I’ve discovered four books that I’ve fallen in love with, and that have touched me deeply. 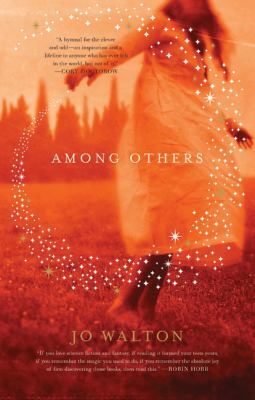 I read Jo Walton’s Among Others a few weeks ago, on a friend’s recommendation. 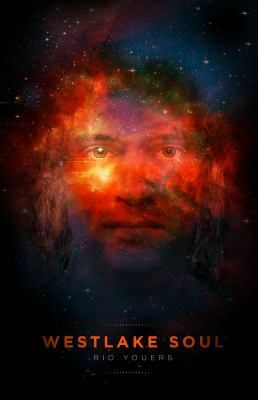 Reading this book was like reading a love letter to science fiction and fantasy. This is the story of Mori Phelps, raised by a half-mad mother who dabbled in magic. As a child growing up in Wales, she played among the spirits who made their homes in industrial ruins. But her mind found freedom and promise in the science fiction novels that were her closest companions. Then her mother tried to bend the spirits to dark ends, and Mori was forced to confront her in a magical battle that left her crippled and her twin sister dead. Fleeing to her father whom she barely knew, Mori was sent to boarding school in England, a place all but devoid of true magic. There, outcast and alone, she tempted fate by doing magic herself, in an attempt to find a circle of like-minded friends. But her magic also drew the attention of her mother, bringing about a reckoning that could no longer be put off. If Rio Youers’ Westlake Soul isn’t on your reading list, it really should be. I can honestly say I’ve never laughed and cried so much while reading a book than I have with this one. The titular hero, Westlake Soul, is a 23 year-old former surfing champion, as well as a loving son and brother. After a horrific accident, Westlake is left in a permanent vegetative state. He can’t move, has no response to stimuli, and can only communicate with Hub, the faithful family dog. And like all superheroes, Westlake has an archenemy: Dr. Quietus, a nightmarish embodiment of Death itself. Westlake dreams of a normal life, of surfing and loving again. But time is running out. Dr. Quietus is getting closer, and stronger. Can Westlake use his superbrain to recover… to slip his enemy’s cold embrace before it’s too late? I could write my own gushing review of the book, but I’d rather quote from Tim Baker’s Goodreads review, as it sums up my thoughts exactly: “Westlake Soul is like nothing I’ve ever read. Not horror, but at times horrific, it’s fantasy in its most human form. It can be funny and charming, with language so simple and poetic, it sometimes slipped by me, affecting me in a deep way. So much heart, it almost bleeds. I sat in the back yard, finishing the last chapters, with tears.” Seriously, read this book. 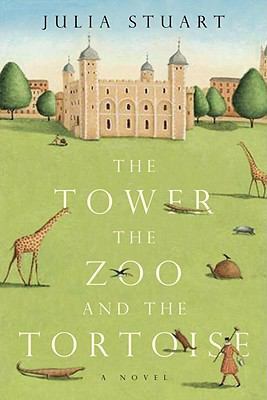 Julia Stuart’s The Tower, the Zoo, and the Tortoise is the story of Balthazar Jones, who has lived in the Tower of London with his loving wife, Hebe, and his 120-year-old pet tortoise for the past eight years. That’s right, he is a Beefeater (they really do live there). It’s no easy job living and working in the tourist attraction in present-day London. Among the eccentric characters who call the Tower’s maze of ancient buildings and spiral staircases home are the Tower’s Rack & Ruin barmaid, Ruby Dore, who just found out she’s pregnant; portly Valerie Jennings, who is falling for ticket inspector Arthur Catnip; the lifelong bachelor Reverend Septimus Drew, who secretly pens erotica; and the philandering Ravenmaster, aiming to avenge the death of one of his insufferable ravens. When Balthazar is tasked with setting up an elaborate menagerie within the Tower walls to house the many exotic animals gifted to the Queen, life at the Tower gets all the more interesting. Penguins escape, giraffes are stolen, and the Komodo dragon sends innocent people running for their lives. Balthazar is in charge and things are not exactly running smoothly. Then Hebe decides to leave him and his beloved tortoise “runs” away. This book made me laugh out loud so many times that I stopped reading it on the bus, mostly because I got tired of the strange looks from my fellow passengers. This isn’t to say that the whole book is a comedy, as it also explores the breakdown of a marriage following the death of an only child. It’s an interesting exploration of the different ways we deal with grief. I can’t wait to read more of the author’s works. 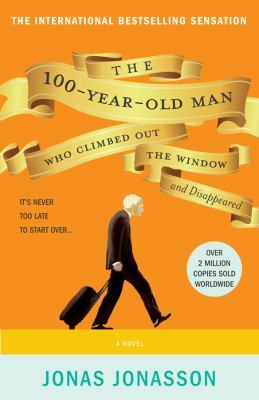 I was very lucky to receive an advance reading copy of The 100-Year-Old Man Who Climbed Out the Window and Disappeared by Jonas Jonasson. The best way to describe it is as a Swedish Forest Gump. Allan Karlsson, the titular man, decides on his 100th birthday that he’s tired of living in a senior’s home. Climbing out the window wearing only slippers, Allan not only manages to escape, but finds himself in various situations involving drug money, kidnapping, the occasional murder, and true love. Allan himself shares his life story, and we find that he’s been involved in, if not responsible for, all sorts of world changing events during the last half of the 20th century. His impressions of Stalin left me shaking with laughter. It’s not surprising that this book has sold more than 750,000 copies in Sweden. Get your name on the holds list now! What books have you fallen in love with this summer? Let us know! As summer rolls around, I begin to wonder, When will I get The Call? And by The Call, I mean that yearly call from my tween’s teacher to tell me my son needs to do “summer homework” to keep his reading level up. This is no easy task. Getting him to read takes bribery, subterfuge and some good old fashioned authority (not usually a good combination during vacations). Luckily, over time, I have developed an arsenal of strategies that will help get us through this ordeal as painlessly as possible. 1. Give choices. Although it’s tempting to drop him off at the library with instructions to “find something to read,” chances are he’ll come back with a Bone comic book and the latest issue of Nintendo Power. 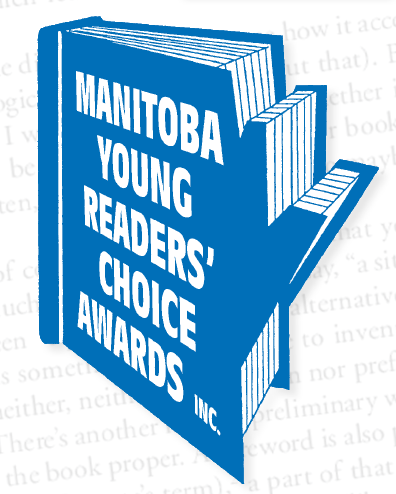 By challenging him to participate in MYRCA (the annual Manitoba Young Readers’ Choice Awards), he has a choice of 18 titles that have been pre-selected to guarantee quality and kid appeal. All he has to do is read 3 off the list to be eligible to vote. 2. Judge a book by its cover. Be shallow, it’s ok. Tweens judge books by their covers all the time. Tweens who hate reading also judge books by their length. The Bedmas Conspiracy has the perfect cover: an electric guitar, a ZZ Top wig and sunglasses and the perfect length: it is the shortest one on the MYRCA list. Rock on! 3. Refer books to Pop-culture. This is tricky; telling your tween that End of Days is just like the X-Files will work against you. I know it’s SHOCKING but no one remembers who Mulder and Scully are anymore. Comparing it to Men in Black 3D makes you seem cool and hip. Always be mindful that you, as the adult, should have no idea about what is actually cool, so be subtle. 4. Isn’t that a movie? Tweens automatically become interested in the book if it gets made into a movie. Casually mentioning that the producers of Twilight are making a movie of Ken Oppel’s This Dark Endeavor will lead them to the book. Saying it in front of tween girls, though, may get you more reaction than you cared for! Use earplugs. 5. Scarcity as motivator. Complain loudly that Blood Red Road is impossible to get. Get your techno tween to place a hold on it for you. Wonder aloud daily if it’s in yet. Scream when you find out it’s waiting for you and drag (read: plan to have) your tween with you when you go pick it up. With any luck, he’ll start reading it in the car, on the way home. 6. Plead ignorance. Pretend you can’t figure out how to download books on the iPod. 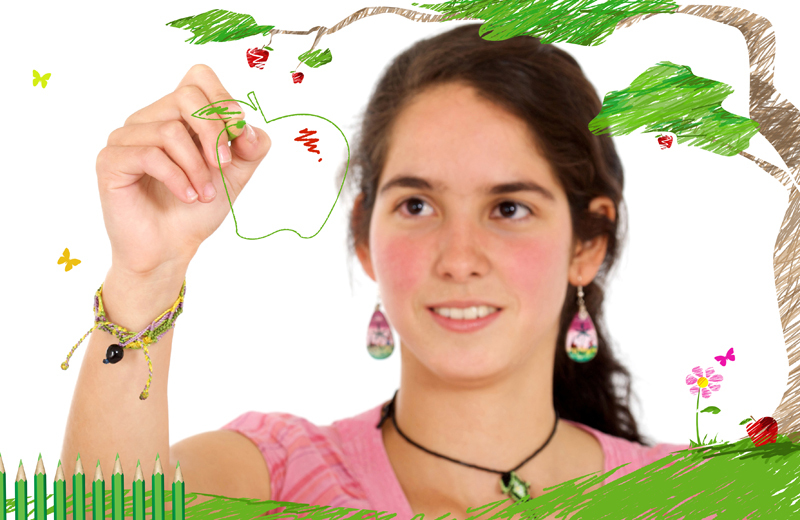 Get your tween to do it for you. Conveniently use Box of Shocks as an example and voila! Your tween has a book right in his hands that he doesn’t even have to bother to remember to return. 7. You scratch my back, I’ll bake fudge. Promise to make any recipe he wants from The Case of the Missing Deed after he reads it. Chances are he’ll pick the Fudge recipe and everyone is happy when there is chocolate. 8. If it ain’t broke, don’t fix it. Find books comparable to authors tweens already like. Fans of Roald Dahl will love Peter Nimble and his Fantastic Eyes, just be sure to mention he’s a blind orphan pickpocket hero with a secret. Mention it while watching Oliver Twist during family movie night for best results. 9. Appeal to their rebellious nature. A little reverse psychology can work wonders. Wait until your tween gets upset and it clouds their judgment. A timely placed “Whatever you do, DO NOT read Timber Wolf” may be all you’ll ever need. I tend to pick my battles and reading is usually, necessarily, one of them. My librarian side thinks ‘reading should be fun, reading should be its own reward.’ Truth is, reading is work for the reluctant reader and it really isn’t any fun until you become proficient. By using these tactics, you may find that his (read: your) summer reading will get a little easier one book at a time. 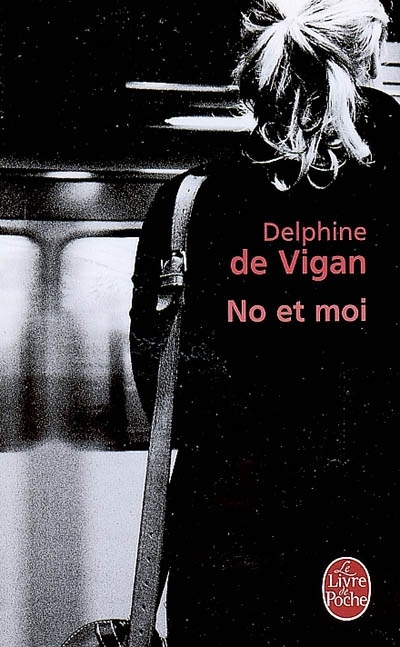 Je vais commencer ma lecture avec un livre que j’ai déjà lu au début de cette année, mais qui m’a tellement touché que je dois absolument le relire et le savourer à nouveau est No et moi, par Delphine de Vigan. C’est un récit mené à la première personne, celle de Lou, treize ans, intellectuellement précoce, et élève brillante et isolée. Fille unique délaissée par une mère tombée en dépression après la mort d’un bébé et incomprise d’un père aimant mais prisonnier de son impuissance. En classe, les autres élèves l’appellent « le cerveau ». Pour Lucas et « son air de bagarre » elle est « pépite ». Dans le cours de l’exigeant monsieur Marin, elle a proposé de faire un exposé sur les sans-abri et d’interviewer une jeune femme SDF. À la gare d’Austerlitz où elle vient régulièrement regarder les gens et les trains partir, elle rencontre No. Mais la connaître, tenter de devenir son amie, ne suffit pas ; l’adolescente se met en tête de la sortir de là, comme on dit, et, avec Lucas, ils lèvent une armée du salut à deux combattants pour une opération de sauvetage, trop grande pour eux. J’attends avec impatience de pouvoir me réserver un jour entier pour lire La vie immortelle d’Henriette Lacks, par Rebecca Skloot, livre inspirée d’une histoire vraie. 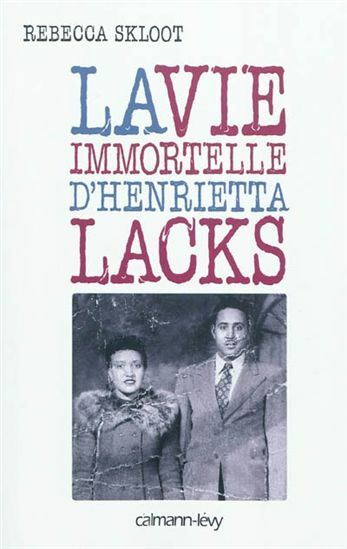 L’auteure nous introduit Henrietta Lacks, une jeune Noire américaine dont le cancer a permis à la médecine de soigner des millions de personnes, et dont les savants n’ont retenu de son nom que deux syllabes : HeLa. Elle travaillait dans les champs de tabac du Sud des États-Unis où besognaient ses ancêtres esclaves, mais ses cellules, prélevées à son insu, sont devenues l’un des outils les plus précieux de la médecine moderne. Emportée par un cancer foudroyant, en 1951, à l’âge de 31 ans, elle a contribué sans le savoir à la mise au point du vaccin contre la polio, au décryptage des tumeurs et des virus, à la mesure des effets de la bombe atomique, et à des avancées telles que la fécondation in vitro, le clonage ou la thérapie génique. À travers l’histoire de cette femme et de ses proches, Rebecca Skloot nous invite à réfléchir aux enjeux éthiques, financiers et sociaux de la recherche médicale. Récit bouleversant, saga familiale, document historique et objet littéraire : ce livre étonnant aborde des questions simples, à la portée vertigineuse, auxquelles nul ne peut échapper. Qu’attendons-nous de nos médecins ? À qui appartiennent nos cellules ? Quelle place tient l’être humain dans un laboratoire ? De l’âme ou de nos cellules, qu’est-ce qui est immortel ? 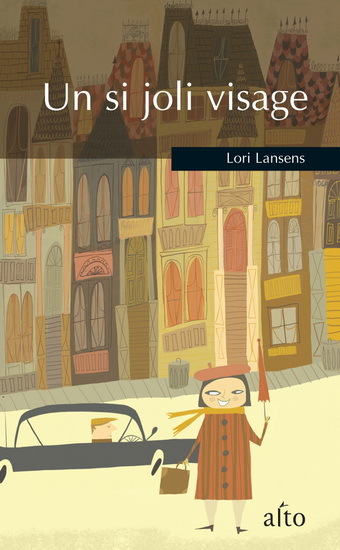 Ma troisième lecture sera Un si joli visage, par Lori Lansens. Le jour de ses noces d’argent, seule dans sa maison de Leaford, en Ontario, Mary Gooch, quarante-trois ans, obèse et craintive, attend le retour de son mari. Mais au fond, Mary attend secrètement que sa vie commence enfin, qu’on cesse seulement de lui dire qu’elle a « un si joli visage » en évitant, par gêne ou par politesse, le reste de son corps rond. Elle rêve d’un destin où elle ne serait plus consumée par la faim et par l’inquiétude. Mary Gooch attend. Jimmy ne reviendra pas. Dans une courageuse tentative pour s’évader de sa prison de chair, elle s’envole pour la Californie où, croit-elle, son mari fugueur a trouvé refuge. Au bout de son chemin, elle fera la rencontre de la plus surprenante des femmes : elle-même. Après une petite pause, passée en lisant quelques tabloïds (c’est l’été – il faut quand même s’amuser un peu, non ? 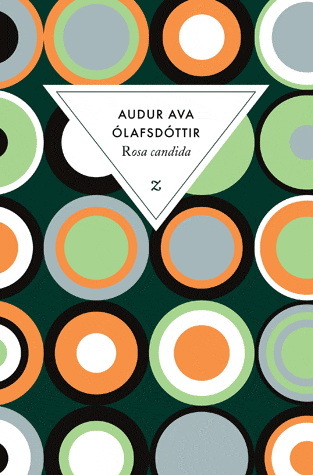 ), je sauterais dans Rosa candida, par Audur Ava Ólafsdóttir. Le jeune Arnljótur va quitter la maison, son frère jumeau autiste, son vieux père octogénaire, et les paysages crépusculaires de laves couvertes de lichens. Sa mère a eu un accident de voiture. Mourante dans le tas de ferraille, elle a trouvé la force de téléphoner aux siens et de donner quelques tranquilles recommandations à son fils qui aura écouté sans s’en rendre compte les dernières paroles d’une mère adorée. Un lien les unissait : le jardin et la serre où elle cultivait une variété rare de Rosa candida à huit pétales. C’est là qu’Arnljótur aura aimé Anna, une amie d’un ami, un petit bout de nuit, et l’aura mise innocemment enceinte. En route pour une ancienne roseraie du continent, avec dans ses bagages deux ou trois boutures de Rosa candida, Arnljótur part sans le savoir à la rencontre d’Anna et de sa petite fille, là-bas, dans un autre éden, oublié du monde et gardé par un moine cinéphile. 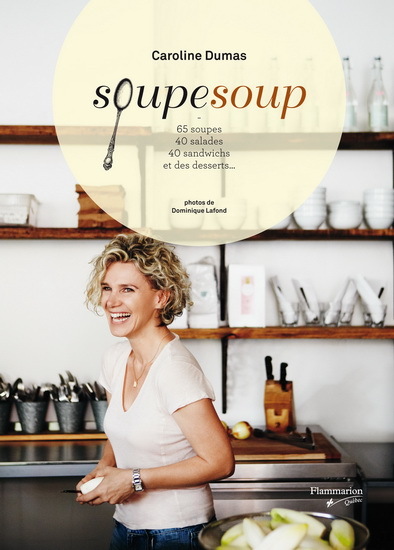 Finalement, je vais parcourir Soupesoup, par Caroline Dumas, afin de trouver des idées pour les soupers cet automne. Mme Dumas, restaurateuse avec sept établissements Soupesoup au Québec, a inventé la formule idéale pour qui veut manger vite et bien, sans s’ennuyer ! Privilégiant la fraîcheur et la qualité, avec un menu qui change chaque jour, elle a mis au point plusieurs centaines de recettes originales. Petite soupe parfumée, grilled cheese, salade au gré des saisons, mijoté réconfortant ou tartine salée : elle propose dans ce livre tout un choix de repas colorés, savoureux et économiques. Caroline cuisine régulièrement à la télévision et coanime une quotidienne à V Télé. Miam ! Si vous cherchez encore des recommandations de lecture, je vous suggère de consulter notre bulletin mensuel de nouveaux romans. Abonnez-vous aujourd’hui ! There’s nothing like the mouth-watering aroma of food cooking outdoors. 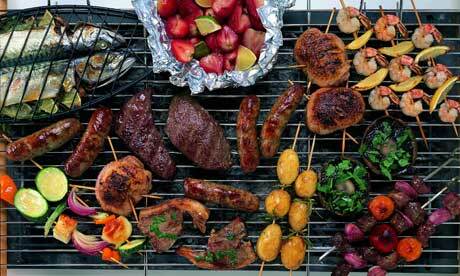 No doubt, barbecuing is one of the best parts of summer. Whether you’re using gas, charcoal or wood, there are recipes and techniques galore to ensure that whatever you’re cooking will taste great. Ever since humans discovered fire, the debate over the best way to cook has raged. If you’re looking for a good overall approach to grilling, Weber’s Way to Grill: the Step by Step Guide to Expert Grilling by Jamie Purviance is an excellent choice. It covers both gas and charcoal grilling, and has great photographs and advice for both the beginner and more seasoned chef. This book has a wide range of cooking tips and recipes, from smoking a turkey to making the perfect burger. Barbecuing doesn’t always have to mean meat, and a copy of The New Vegetarian Grill by Andrea Chesman means that the vegetarians at the table won’t be eating only the side dishes. Delicious recipes like Vegetarian Fajitas with Chipotle Sour Cream or Tandoori-Style Vegetable Kabobs will win over even the most dedicated carnivore. With recipes such as Puerto Rican Pork Shoulder and Australian Lamb on a Shovel you can add some spice to your life and take your taste buds on a trip around the world with Steven Raichlen’s Planet Barbeque! Using Steven as your guide, experience barbecue from more than 60 countries without leaving your own back yard. When you want to venture further into the great outdoors, try Camp Cooking: The Black Feather guide to eating well in the wild by Mark Scriver, Wendy Grater and Joanna Baker. This handy guide not only tells you how to cook, it lists the equipment you will need, and suggests what to bring depending on what type of trip you’re taking, whether it’s canoeing or hiking. Chef in Your Backpack: Gourmet Cooking in the Great Outdoors by Nicole Bassett is another great choice for outdoor enthusiasts, with many useful tips and tricks to make creative cooking over the campfire easy and fun. For festive al fresco eating, try Katie Brown’s Outdoor Entertaining: Taking the Party Outside. This book does have some recipes for barbecuing, but the main focus is on planning the perfect outdoor party, with many suggestions for themes and decorations. No matter what you like to eat, there’s a way to grill it. These books will give you a taste of what barbecue has to offer, so dust off those patio lanterns, head on outside, and get grilling!